Mazda Motor Corporation received permission from Japan's Ministry of Land Infrastructure and Transport (MLIT) on February 10, 2006, to begin leasing the RX-8 Hydrogen RE to its first two corporate customers. These vehicles, equipped with a rotary engine, feature a dual-fuel system that allows the driver to select either hydrogen or gasoline with the flick of a switch. Mazda has started limited leasing of the vehicles and today concluded leases with two energy-related companies, marking the first lease contracts of a hydrogen-powered rotary engine equipped vehicle in the world. Delivery of the vehicles is scheduled to take place in late March 2006. 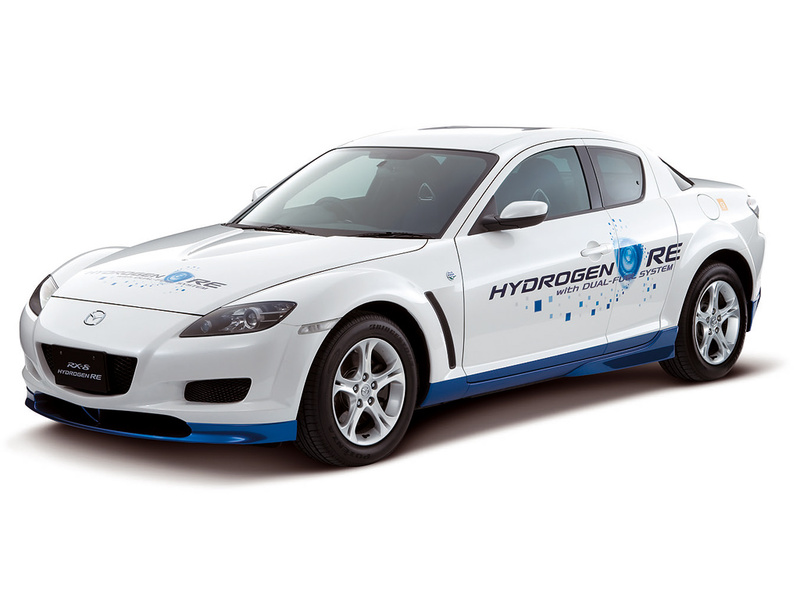 Employing a dual-fuel system, the Mazda RX-8 Hydrogen RE can run on either high-pressure hydrogen gas or gasoline. This combination offers excellent convenience because it can be driven in remote areas where hydrogen fueling stations are not readily available, easing driver concerns about running out of fuel. (concept carz) In addition, this system boasts great environmental friendliness--zero emission of carbon dioxide (CO2) gas and near zero nitrogen oxide (NOx) emission when fueled by hydrogen--together with the natural driving feel of an internal combustion engine. It uses engine parts and production facilities that already exist in Mazda's inventory, so this innovative engine can be built with a high degree of reliability at a relatively low cost. The standard monthly lease price is 420,000 yen with tax included (400,000 yen/month without tax) which is almost half the monthly lease price of a fuel cell vehicle already available in Japan.